Today Only – 10% Off on Used Canon Cameras & Lenses at Keh (180-Day Warranty) ! Keh Camera has started a new today only sale on used Canon cameras and used Canon lenses. You can get 10% off on these Canon gears when use promo code “CAN05A” at checkout. Note, this is a today only deal, order ASAP before sold out. Note, all used gears sold by Keh coming with 180-day warranty from Keh. 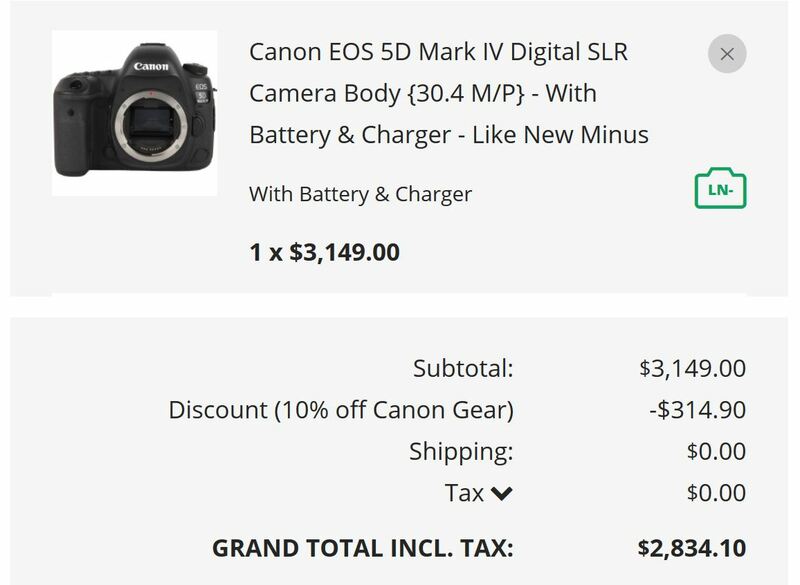 For example: Canon EOS 5D Mark IV body (97%-99% original condition, like new) for $2,834.10 after use promo code “CAN05A” when checkout. ← Refurbished Sales: 10-18mm for $189, 24mm f/2.8 STM for $99, 50mm f/1.4 for $219, 85mm f/1.8 for $259 !